The date when the UK should be leaving the EU, colloquially known as ‘Brexit’, is approaching fast. Add to this that there is still no real clarity on the consequences of Brexit – if and when it happens – not for the public, not for businesses, and certainly not for the life science community. Everyone is simply bracing for change. Lawmakers have yet to decide on the leaving process, and if no compromise can be found, the UK could depart from the EU on the 12th April without a deal. What does this mean for research in biopharma and patients awaiting treatment? Research and industry leaders are concerned the separation will affect access to financial support, product development and innovation, as well as impacting collaborations with their continental partners. In the case of a hard Brexit, or leaving without a deal at all, it’s the duty of biopharmaceutical companies as well as the Government to minimize the impact on patients and affected parties within the science industry. Mitigating the impact with plans in place for every eventuality Brexit is a good start. While some companies are taking a low-risk approach, such as moving supplies to a sister facility in the EU, others are employing a more ‘stand fast’ strategy by conducting impact studies. Many small- and medium-sized businesses that might not have the resources to relocate, reassign or investigate the multitude of options, are waiting to see what is going to happen. But if they don’t take any action, problems will arise from that inaction or their delayed response because of lack of preparation. One thing is certain, once the final decision has been made, there will be a flurry of action, as organizations fight for funding, partner up with companies in the EU, and move to secure their supplies. Let’s explore in greater detail the points where a hard or no deal Brexit would apply the most pressure on the industry. Predictably, funding is a major concern. Companies invest large sums of money in innovative developments geared towards improved production and efficiency. For research, access to funding is one of the main concerns around Brexit, and the EU is one of the biggest sources of capital. According to a report by the Royal Society, the EU spent $14.5 billion on R&D in the UK in 2016, compared to $2 billion contributed from the UK. With the EU investing significantly more in R&D than the UK itself, this funding could be lost after the separation, and small- and medium-sized organizations in the UK will be hit the hardest. In addition, the UK could lose access to the EU funding program, Horizon 2020, and could also jeopardize the exchange of academic researchers, of which 17% are from the EU, as well as the networks that support scientists’ work. Leaving without a deal could weaken the collaborative relationships built between scientific organizations over the years, and the UK could potentially damage its hard-earned reputation for world-renowned research and universities. 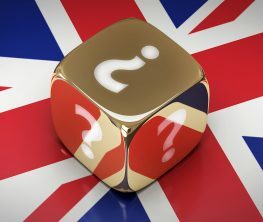 In a ‘No Deal’ scenario, it’s likely that complying with regulations will become more complex. The Medicines and Healthcare products Regulatory Agency in the UK, or MHRA, would have to take over the regulatory functions currently fulfilled by the EU, and this means there will be changes to UK law. Any medications authorized in the EU will have to convert to UK Marketing Authorization to remain approved, if they haven’t already. 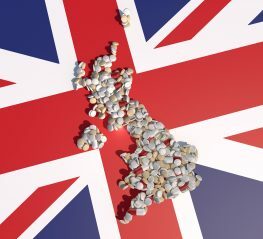 Once the UK has left, the MHRA will need to assess products to be marketed in the UK, a process that could take time and delay getting drugs to market. Even exported medicines that are approved in the UK will have to be examined and certified by an EU representative or Qualified Person (QP) before they can proceed. Because QPs are personally accountable when they approve a batch of medications, coming across an experienced QP is a challenge on its own. With changing regulations, it’s vital to ensure that the UK follows the same standards in GxP. UK organizations must work with international companies to make sure they have the same term definitions but as it is, following two sets of regulatory guidelines will likely increase study time and operational costs. According to the Government, there will be a streamlined process in place that will make the procedure as easy as possible, without any additional burden placed on the industry, so that patients can access new medicines without further delays. If an agreement cannot be reached, there will be no free trade between the UK and the EU. With so much uncertainty, planning for several outcomes becomes difficult. Moreover, projecting a strategy according to how events will play out in practice is yet another hurdle. Many predict a scene where there are long queues of trucks awaiting customs clearance at the border as biopharmaceutical products and active substances are imported or exported. Will new processes cause major delays to these operations? 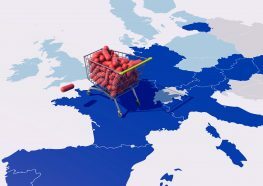 An abundance of reagents crosses the border from the EU all throughout the development, manufacturing, and distribution processes. Supply chains are fragile, giving little time and capacity to stockpile supplies – amassing stock provides more runway but is not a long-term solution. 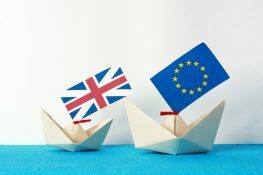 Logistics are another consideration – importers, VAT services, import licenses and approvals – all of which will be affected by a no deal scenario. While shipping products urgently is not unheard of in the development lifecycle of therapeutics, getting products across the trade barrier may be a challenge in the future. Roads could be slow after the divorce, but the biggest potential issue is the administrative paperwork associated with the shipments sent over the border. Ambiguity around the regulatory processes at the border, if there is no deal, means many fear customs will delay medications being transported according to their usual timescale. Any disruption to trips across the border could lead to shortages. As a result of withdrawing without a deal, companies might not be able to deliver materials used in ongoing clinical trials, risking patients missing doses of their treatment. This, in turn, could delay the approval of the drug, and so it can’t go to market. Aside from this, it would have immediate consequences for the patients relying on these drugs as part of the clinical trials. Advanced therapies, where materials such as living cells with a short shelf-life are used, would also be put at risk. Cells must be taken from the patient, transported to a facility to be manipulated, and then returned to the patient being treated. Stockpiling is not possible in this case, so choosing the right courier company is essential – a company that understands the import and export legislation relating to cell therapy products and has the equipment to store them at the appropriate temperatures while waiting for customs clearance. Large pharma giants such as GSK and AstraZeneca would be less affected, given they have access to facilities on both sides of the trade border and multiple sources of funding. But for those organizations that do not have any labs or legal units in the EU, they may look to partner up with companies that do have facilities in both locations. The majority of the science community agrees that withdrawing from the EU without a decent deal brings numerous negative outcomes for scientific research, hurts funding, impairs employment opportunities and business relations, impacts organizational growth, and puts patient health at risk. At the time of writing this, Parliament has twice rejected PM Theresa May’s proposal for a withdrawal agreement and pushed even further by voting to oppose any attempt to leave without an agreement. A third vote has also been blocked by the speaker of the house. A no deal scenario would not benefit either side, but the pains discussed in this article remain a possibility. That said, with industry leaders preparing for all situations, the state of affairs will hopefully look more positive for the biopharmaceutical space from this point forward.